98 year old, blind Elisabeth: “I still have two years to go before I am hundred”. Thousands of people disenfranchised, evicted and deprived of their livelihoods, this is not current affairs but a process over years. Near Kade, Eastern Region of Ghana, a Belgium Oil Palm Farmer promotes biodiversity and drives out residents. GOPDC owns two industrial plantations, in Kwae and Okumaning, with a total concession of 14,153 ha but only 7,700 ha being already developed. 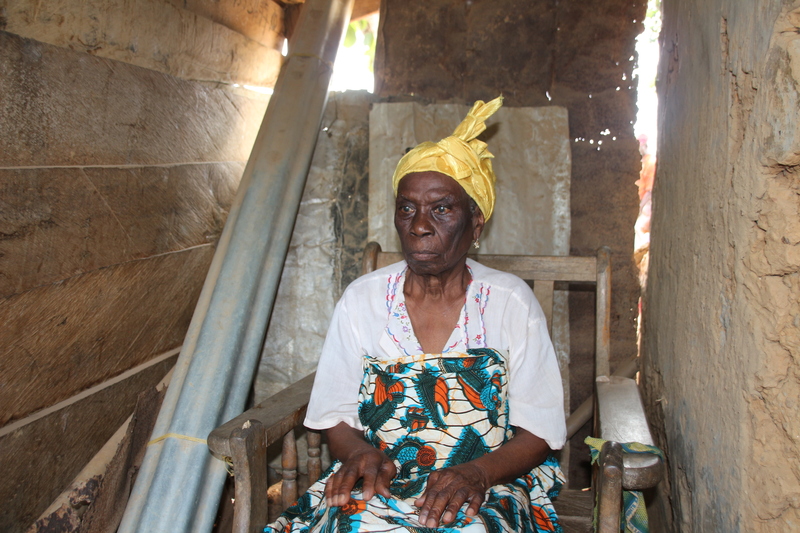 One of the evictees is 98-year old Elisabeth.